Poolside living at it's finest! Look no further- upstairs unit, 2 Bed + 2 full Baths! WOW. Newer carpet, clean inside. Balcony overlooks pool/spa and courtyard. Gated complex is the perfect secure get away from the city. 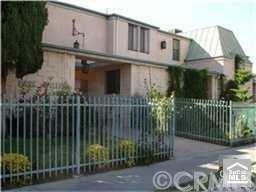 Close to schools, shopping and entertainment.Brand new central AC, tenant occupied drive by only do not disturb tenant.